How is your Underwriting Team Performing? Now this is a million dollar question! The underwriter’s performance determines the premiums that you get and hence impacts the business profitability. It’s a fine balance so that you don’t overprice your premiums and become unattractive and at the same time do not underprice and expose yourself to risk. While underwriting quality is important, productivity is also of critical importance. Superior productivity would mean shorter TAT, faster policy issuance and hence increased customer satisfaction. 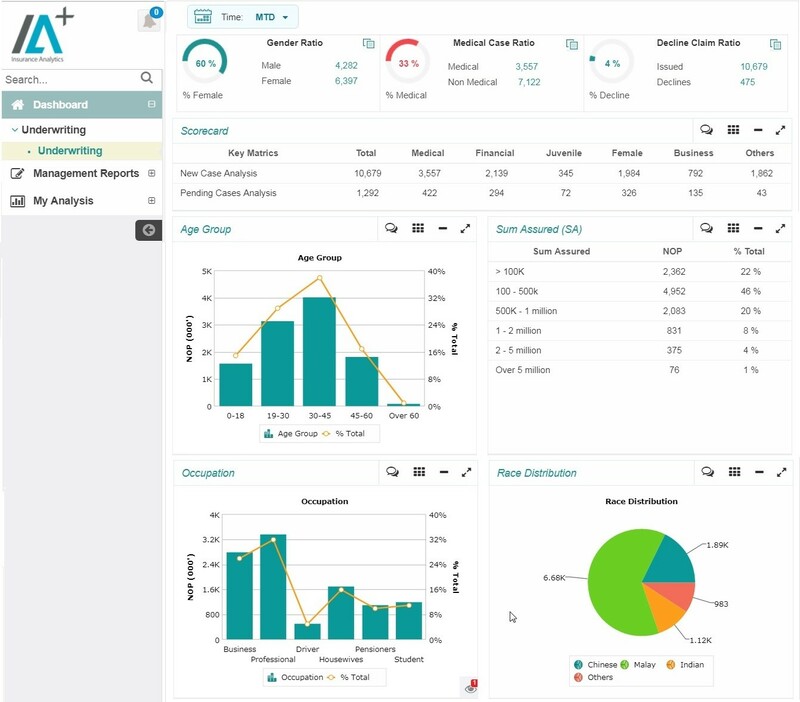 Get a Demo on Underwriting Analytics! To determine insurance risk correctly, underwriters needs to analyze specific risk parameters in relation to claim experiences for each product segment. With the help of IA+ solution, the underwriters can analyze specific risk parameter of new policies, customer portfolio and customer segments before taking decision which can help reduce claim & improve profitability for insurance companies. The predictive model of Insurance Analytics (IA+) provides customer risk scoring so that risk can be estimated before underwriting the policy.